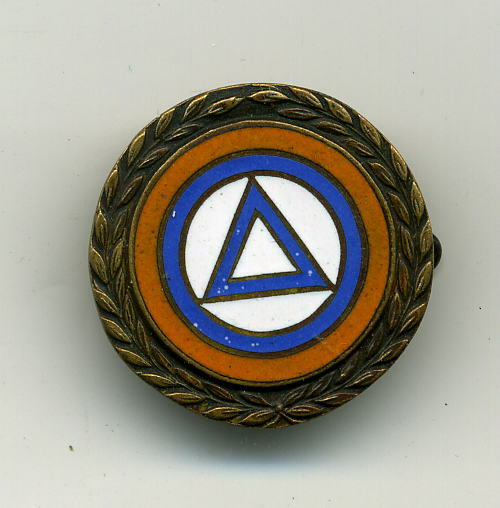 Ailsby Collection: VNV Golden Party Badge. Known Makers - L.VAN DER MEULEN. The badge is circular and measures 22mm, with an outer edge of finely engraved raised laurel leaves, which measure 2mm. These were Bronze, Silver and Gold to represent the grade. It has a 16mm raised central enamelled panel which comprises an orange circle with inside it a blue delta outlined in gold on a white background with a blue circle narrowly outlined in gold. 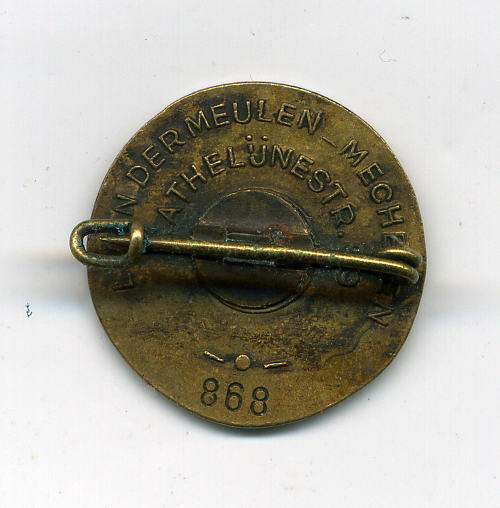 The reverse is flat with round the upper edge in raised letters in two lines, L.VAN DER MEULEN – MECHELEN, KATHELüNESTR. 89. Centrally at the bottom is a pellet with a bar to each side. Beneath this very neatly punched is the issue number of the badge. The pin is horizontal and of the safety pin type secured by a small round plate. This badge was awarded in bronze for 5 years service, silver for 10 years service and in gold for 15 years service. 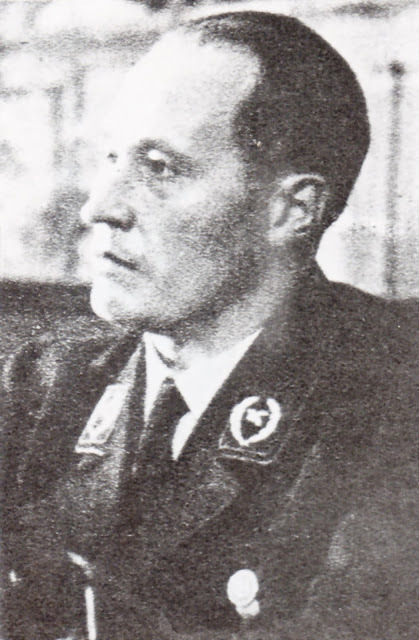 Leader of the N.S.J.V., Dr. Lehembre wearing VNV Golden Party Badge. Honour Badge of the Technical Emergency Service. Plaque for Next-of-Kin of Fallen N.S.B. Members.